This is our favorite walkable beach. It's right next to the cemetery. The water is calmer than on the main Sayulita beach and there are far fewer people. There are rocks to climb, shade to laze under, and skewered mahi-mahi and fresh coconuts served up on the beach. Easy like Sunday mornin'. Baby turtles are released daily right before sunset during the Fall and early Spring on the beach north of the river. They usually have white flags flying. Releasing them forces one to smile. If thoughts of moving here float through your head... We love Costa Verde - the mission of the school, the people who work there, and the community that the school has helped create for us. We consider ourselves fortunate to be a part of it. Carricitos, Patzcuaro, Malpasos, etc. Find directions to them here. Mercado del Pueblo is Sayulita's farmer's market and is open November through April on Fridays 10am - 2pm. Great organic and local groceries, coffee, treats, crafts, etc. It is located on Calle Revolucíon just north of the bridge across from Tanana Gallery. 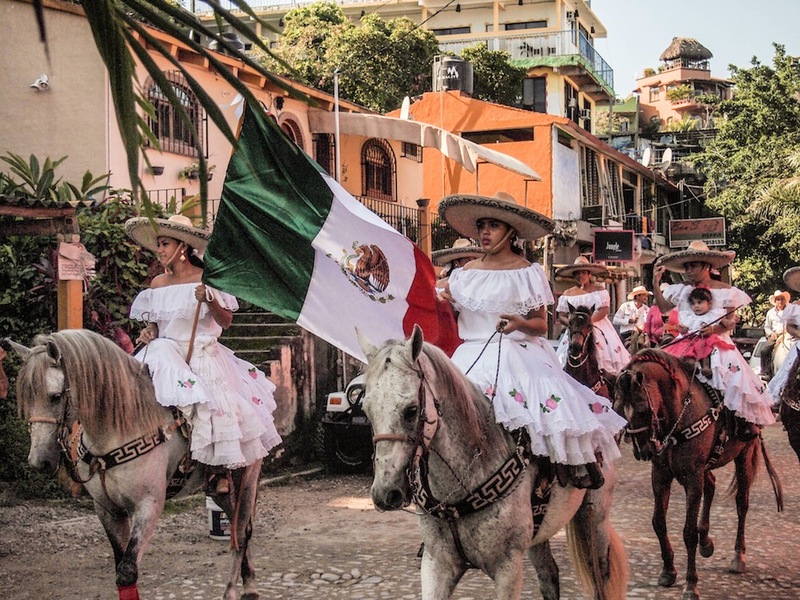 Every year in February Sayulita celebrates Sayulita. A fair is set up on the baseball fiel and in addition to rides an attractions you might expect to see, there are crazy 3-story trampoline houses for the kids and rock-throwing games with prize beers for adults. 'Nuf said. Mexico loves parades. Our favorite is for Dia de la Revolucíon in November. It's kind of hard for a visitor to know when or where one will be. A parade will just happen upon you if you're lucky.